Kicksend (Windows) - Email any size attachments! ~ Android Forever! 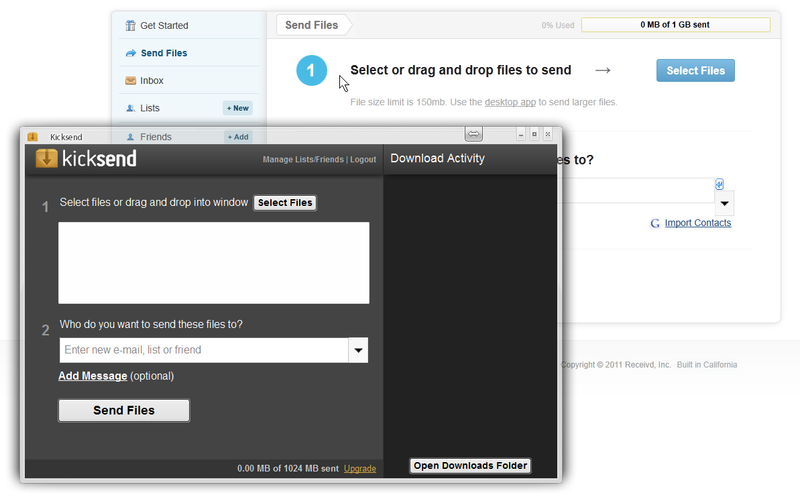 Kicksend (Windows) - Email any size attachments! Big files can be difficult to send via email due to the size restrictions put in place by many of the major email services. Break out of these restrictions with this web based or desktop application. The web service will allow up to 150MB, while the desktop has no limit.